Mt. Manabu stands 760 MASL and is a good climb for beginners because of its relatively easy trail. 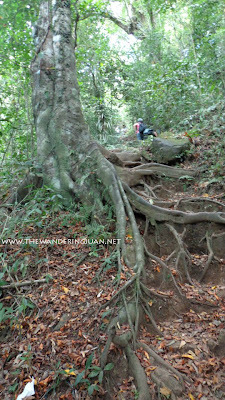 This time around my friends and I decided not to get a guide and go up and down the mountain ourselves. True enough the trail was easy to navigate and follow. 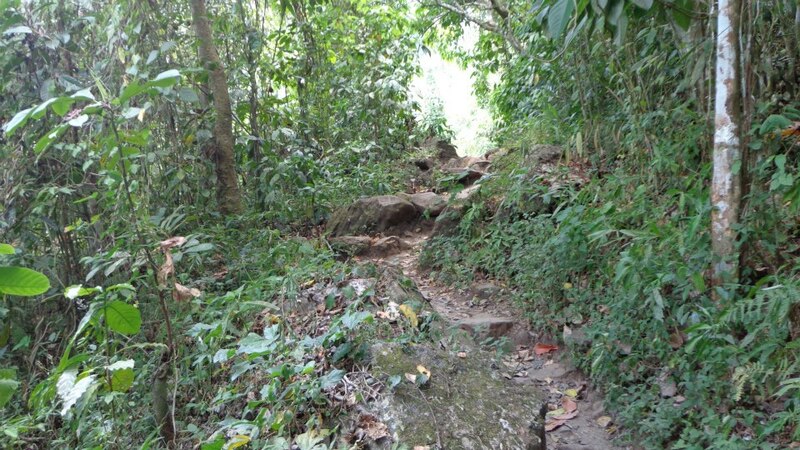 There were 8 stations overall and the final assault up the summit was by far the challenging part of the climb, while the rest of the mountain was an easy trek and climb through the woods. I liked the trail of Mt. Manabu because of the shade that the forest provided. It was unlike Mt. Batulao and Talamitam wherein there was little to no shade. Mt. Manabu was dubbed 'mataas na bundok' in short Manabu. 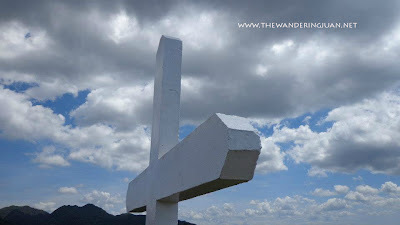 This mountain is also a famous spot for camping, and Visita Iglesia because of the grotto and cross. Conquering a mountain with good company. Ride a bus bound for Lipa at the Buendia terminal, get down or walk to Robinson's Mall then hire a tricycle to take you to the jump-off point in Sulok, Brgy. Sta. Cruz. i guess this is such a nice hobby after all! getting all the things you wanted and be satisfied! Getting exercise hike with friends and a great experience and view is a must! great job for you and your company! When I'm done with running, my next activity would probably be mountain climbing. Great to see you conquer another mountain. I have friends who always hikes. I'm jealous, but I don't think I can manage the long walk. Any trail you can recommend for beginners? I wanted to try climbing a mountain someday. How many hours did it take you to reach the summit? Can those who have not experienced climbing or hiking mountains also go up? There are some mountains with difficult tracks that are not suitable for newbies. 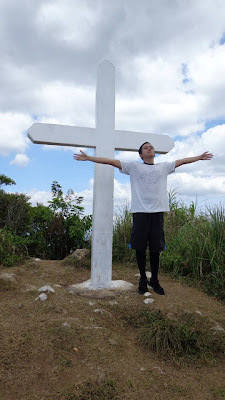 Nice photo at the cross as if you're floating on air. MASL stands for (meters above sea level), am I right? Browsing your photos, I find that the mountain is not 'kalbo' pa. If this one is for newbies, I should definitely try this one since it is also affordable according to your expenses list. 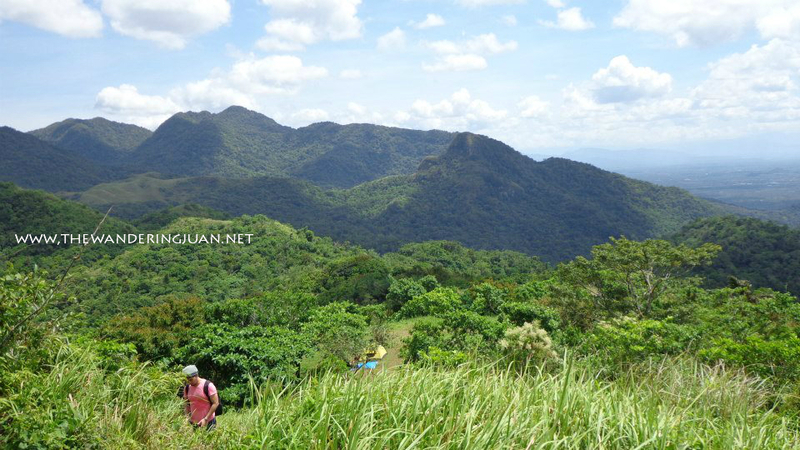 I love adventure and travel pero mountain hiking ata weakness ko :) Opps 363 pesos??? I really wished to do some hiking. 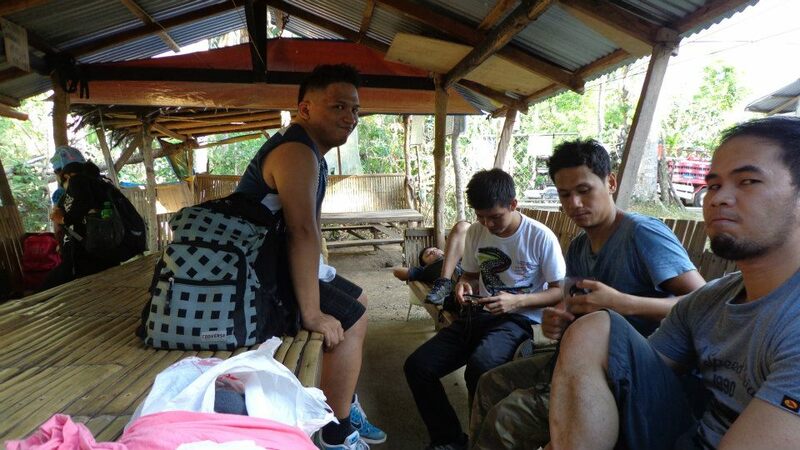 i kept visiting your Mount Batulao experience but it is just disappointing that my friends are not that interested. Errrrr.. This is onne of my favorite hobbies before. Reaching the peak makes me feel closer to heaven. this will be a great place for a summer adventure next year. We we're planning to go mountain climbing for sometime now but don't know where to start. Thanks for the info, it definitely helped us. Nice hike really good panoramic view at the top of Mt. Manabu. Great for summer adventure! sir idols!pwede naman kahit walang guide diba? magkano na kaya bayad sa bus ngayon? Thanks for sharing your adventure with us! A truly amazing experience up there huh! ahh.thanks ser idols!last question na hehehe.ano ano kaya kelangan naming dalin?dalawa lang kami e.pasensya nga puro ko tanong ha.hehehe.thanks in advance ser idols! Every year in my area, lots of people go hiking long distances on some of the tallest mountains in the country. 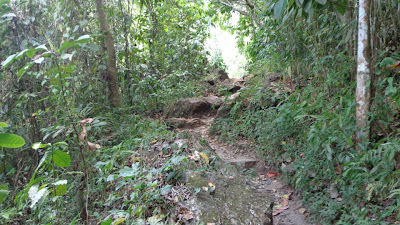 Others look for an appropriate hill and take a trek up there. However even the smaller hills can be quite exhausting. However far someone climbs, I think it feels good to accomplish the challenge. Working those muscles in your legs is not easy. If the weather is bad, it can be more challenging. I once hiked up a mountain on the hottest day in summer. Go figure. hi i just want to ask if how much po papuntang jumpoff? ?start sa lipa market..pls reply po asap..